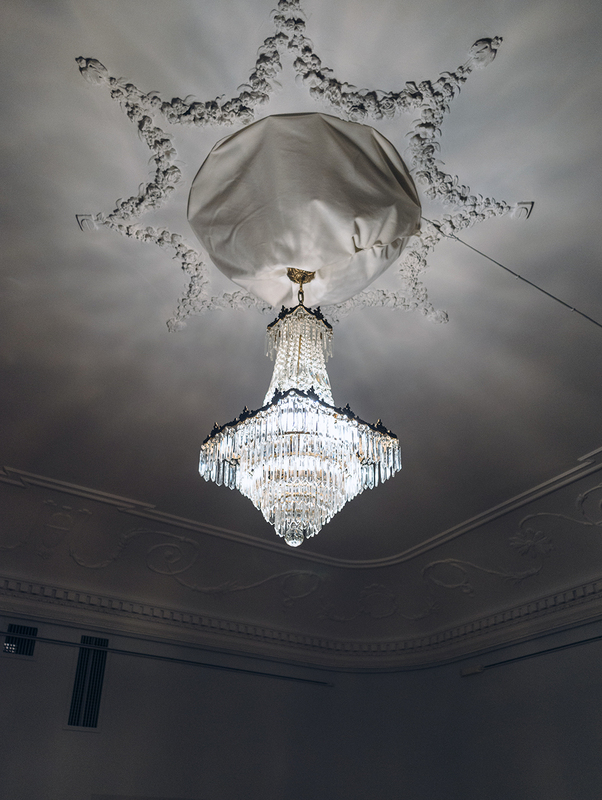 In the ceiling of the gallery there’s a chandelier that is switched on. With an interval of a few minutes the chandelier starts to shake making the crystals jingle. Speakers give out a vibration of low frequency sound. For a second the whole room is dark. But then the light goes on again and everything is back to normal as nothing had happened. 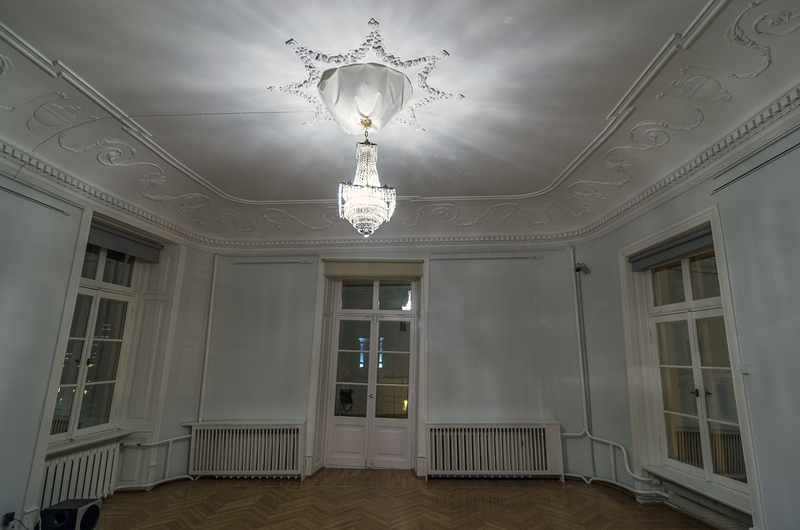 The chandelier filtered for the first time at the Artishok annual exhibition in Tallinn City Gallery (10 July – 19 July 2008) and then at the Tartu Art Museum exhibition “Is This The Museum We Wanted?” (24 January – 9 March 2014).